Back in middle school, I used to skate a Lance Mountain Mini (that is, until some terrible person stole it – right out of my garage!). These were the pre-kickflippery days — instead of hardflips and nollie 360 heelflips, we were learning how to boneless (thanks, Tony Hawk! ), no comply (thanks, Mike V! ), bertslide, and — one day — to pull of a ho ho handplant (where, oh where, did they come up with these names!). 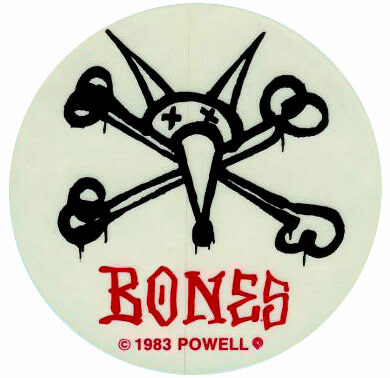 If I were ever to get an old school skateboarding tattoo, it would be the old Rat Bones logo. Search for Animal Chin is classic! I had a Tony Hawk board.